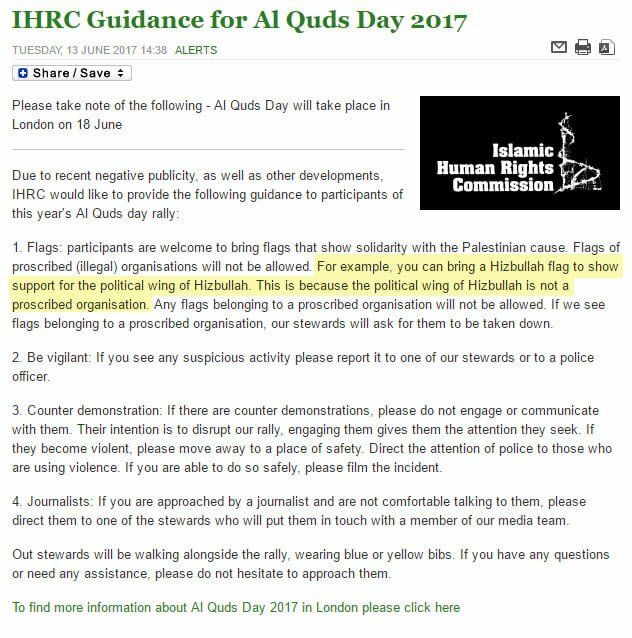 In the wake of the bad publicity being generated by the upcoming Al Quds Day – thanks to heroes like our very own Kay Wilson – the Islamic Human Rights Commission has issued a guidance for participants. 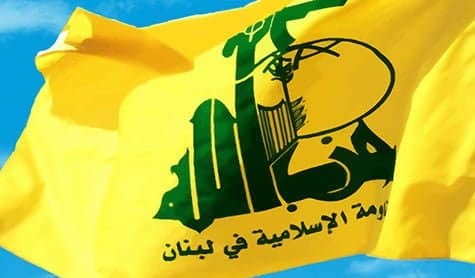 For example, you can bring a Hizbullah flag to show support for the political wing of Hizbullah. This is because the political wing of Hizbullah is not a proscribed organisation. There is none! Because there are no separate political and non-political/military wings of Hizbullah. Just ask Hizbullah – they make no such distinction themselves. I am guessing this guidance was based on demands by the UK police. If this is the case, they need to get their heads out of the sand and ban this terror rally.